FAQ Here are answers to the most frequently asked questions regarding the Weber Grill Academy. I cannot attend my course, can I cancel my ticket? You may cancel your ticket without any fee up to 14 days before the event. It is also possible to cancel your ticket within 13 days of the event, however in this case you will forfeit your ticket and will not receive any refund or credit. Can I change my course to a different one? It is possible to change your course up to 14 days before the event. In order to do this, please visit ‘My Account’, find the course that you would like to change and press ‘EDIT COURSE’ - then follow the instructions. I lost my ticket, can I get a new one? It is always possible to resend your ticket, if you lost it. Please get in contact using the service number on the website and they have the possibility to resend this for you in the booking system. You will also automatically receive the confirmation mail and ticket 24 hours before the event as a reminder mail. The course I want to attend is sold out, can I sign up for a waiting list? At the moment it is not possible to sign up for a waiting list. However, if a participant cancels a ticket to a sold out course, the ticket will be re-listed on our website and made available for purchase up until 14 days before the course date. Which barbecues do you use for the courses? Most of our courses use both charcoal and gas barbecues - some of the locations also have electric barbecues available for you to use. You are always more than welcome to enquire as to whether a specific barbecue will be used at the course that you will be attending. You will find more information regarding all of our courses on the Course Overview site. Will the course be inside or outside? In almost all of our locations you will prepare the food inside and barbecue it outside. But this depends on the location and the specific course. Specific information regarding this can be found on the Location Detail site. How old should a participant be in order to attend a course at the Weber Grill Academy? Course participants must be at least 16 years old. This is sometimes adjusted for a particular course and it will be stated in the course description (e.g., a children’s course). What should I bring when attending a course? If you have used a gift voucher to pay for the course, please bring the voucher with you. Otherwise, just bring your ticket. You will receive an apron (which you can take home with you) when you arrive at the course, but depending on the weather and which location you are visiting, please wear proper outdoor clothes. All of the barbecues, accessories, food and beverages will be provided by the Weber Grill Academy, so you do not have to bring these. I have an allergy. Who should I inform? Please inform the specific Weber Grill Academy location that you will be attending if you have an allergy so that it is possible for them to take this into account during their planning. Please do so at least one week before attending your course. Can I buy Weber products after attending a course at the Weber Grill Academy? If you have attended a course at a Weber Grill Academy location that is placed within a Weber Original Store, it is possible to purchase any of the store’s products after the course. Sadly, this is not possible at the remaining Weber Grill Academy locations as they have no store in context. However, you are always more than welcome to visit our webshop or one of our many Weber dealers. I forgot my jacket/apron/recipe booklet etc. at a course. Who should I contact? Please contact the specific Weber Grill Academy location where you attended the course. Can I buy a gift voucher for a course? It is possible to buy an open gift voucher for a determined amount, but not for a specific course. The receiver can use this gift voucher to pay for their desired course. If the gift voucher's value is not enough to pay for the desired course, it is possible to pay the remaining amount with another payment method. Can I return a gift voucher for a refund? It is not possible to receive a refund for a gift voucher, but it is valid for 3 years and can be used for all available courses that are offered by the Weber Grill Academy within this period. Please find our hotel recommendations on the Location Detail site. Do you have further questions regarding your Weber barbecue? 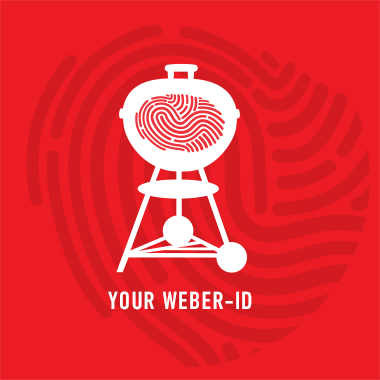 Do you have questions regarding warranty claims on your Weber barbecue? Please contact Weber Customer Service. Do you have questions regarding cooking methods or recipes? Please visit Weber's website to find recipes and inspiration. Do you have questions regarding how to clean and maintain your barbecue? Please visit Weber's website for guidance and suggestions on which products to use.